We are very excited to welcome Melanie, our featured blogger for this month! Mel is former lawyer and an up-and-coming entrepreneur with her amazing blog and life coaching sessions. 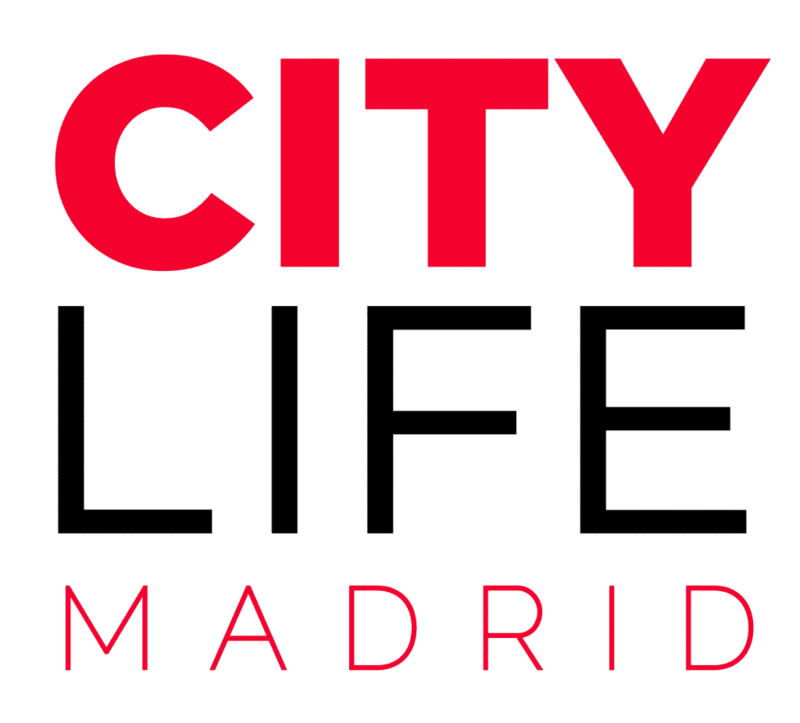 Like us, she loves Madrid and wrote a great piece on her favourite cafes to work, read and study in the city. Where Is It? 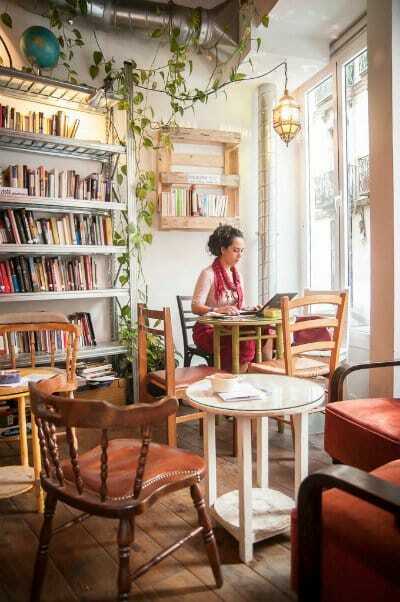 Tucked away in the quiet backwaters of Anton Martin and Lavapiés, La Infinito, café-libros-arte is a book-filled, bohemian musical-café on a sunny corner. What’s It Like? 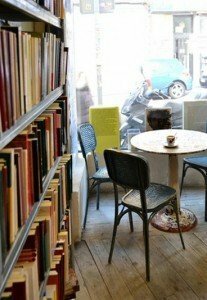 Like walking into the cosy lounge of a really interesting journalist-musician, this is the sort of place where you can let your inner bookworm roam free. What Of The Grub? Whether coffee, tea or brunch, the food, prices and service are stellar. Juice, tea, toast with nutella and a giant bowl of cereal with yogurt and fruit will set you back a mere 4.5 euros with the priciest item on the breakfast menu being 6 euros. What Else? Apart from the deliciously kooky decor, one of the best bits of La Infinito, café-libros-arte is the musicians you can watch here. 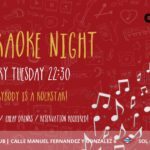 With a little glass stage, it’s home to intimate gigs such as Celia Carballo’s recent performance, mixing soulful classics and brunch for a mere 12 euros! To see the sort of quality we’re talking about, check her out performing with the Black Bones here. Why Visit? If you like literature, character, cosiness and great value food, give this whirl. La Infinito, café-libros-arte is super cute, super cool. Where Is It? 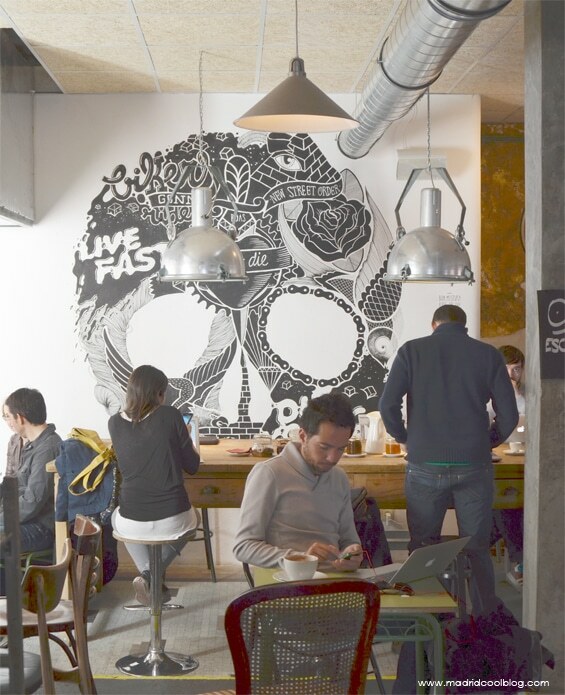 In the heart of Malasana, the vibe of La Bicicleta is hippy chic meets library geek. What’s It Like? With long wooden tables ideal for studying or working on your computer, chunky couches and mis-matched chairs, this place is a cosy kaleidoscope of trinkety fun. 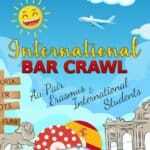 With kooky décor (old bikes adorn the walls), mellow music and chilled out bar staff who are friendly and helpful, the mix of Spanish and expat clientele creates a buzzy international vibe that’s hard to beat. What Of The Grub? La Bici provides a range of coffees, teas and juices and a reasonably priced menu of sandwiches, pastries and salads (not to mention an extensive cocktail menu). Why Visit? Loud enough to socialize but calm enough to read or study, this is a chilled out hang-out to satisfy your inner hipster. Where Is It? 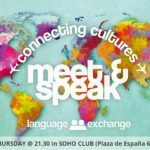 Situated a stone’s throw from El Corte Inglés and Gran Via, this place is completely unique. A mix of academic-chic, La Central de Callao is a 3 floored treasure chest combining over 70,000 volumes of specialized books in philosophy, history, social science and literature and a super cool bistro to boot. What’s It Like? If unpretentious Bohemia is your thing, the bistro is a real find. Open until around midnight most nights, it boasts a great selection of cakes and savoury treats and is an original substitute to grander alternatives. 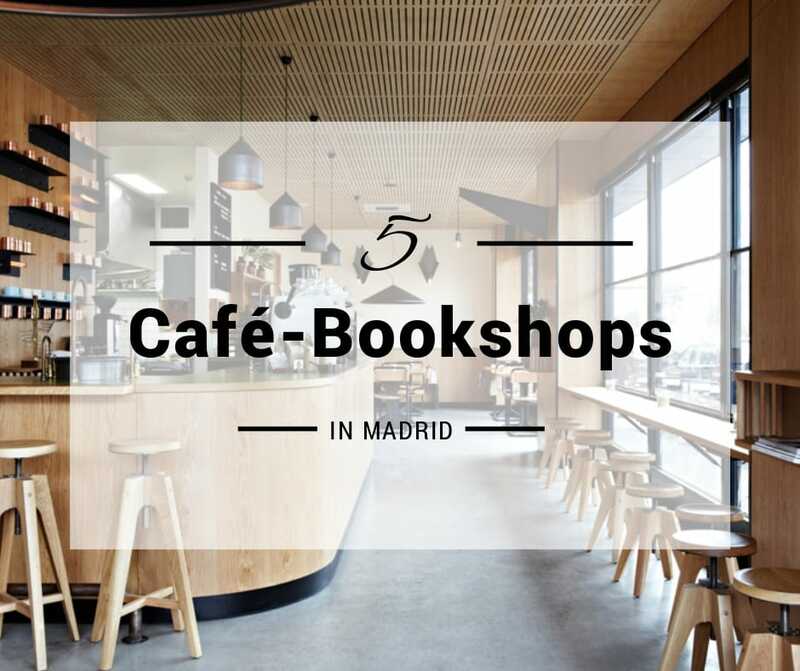 Surrounded by books a-plenty, La Central’s bistro combines the soulfulness you find tree-side and the inspiration you find in bookshops with a cosmopolitan twist typical of Madrid. Buzzy and peaceful all at once, this is an inspiring setting for an afternoon’s reading or writing. What Of The Grub? With a chic glass covered buffet to tease the senses, scrumptious looking temptations range from delicious cakes begging to be eaten to savoury lunches and evening treats with a glass of something naughty alongside… Who knew studying could be such fun! What Else? The lectures and presentations on offer are fascinating, ranging from events devoted to comics and illustration to presentations from acclaimed authors such as Yasmina Khadra (one of the most important and famous writers of Algerian literary scene, with work published in more than forty countries). Why Go? If you’re a creative type who gets excited by the beauty of books, try La Centrale. It’s good for the soul. Where Is It? 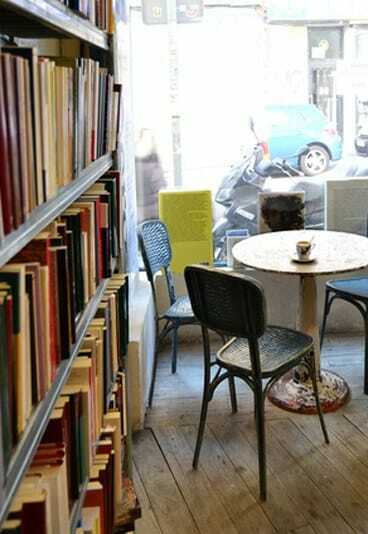 Nestled just behind Mercado Anton Martin, this is a tranquil café-bookshop to end all bookshops. Stacked head to toe with books in every language, from classical to modern, this really is a paradise for bookworms. window-seats and a tiny bar – all nestled between towering bookshelves, it’s easy to watch the hours tick by here as you catch up on some work or sink into a novel. What Of The Grub? Whether it’s coffee, tea or cake you’re after, La Fugitiva has all you need from a café – with top of the range service to boot. What Else? With readings, talks, presentations, workshops and of course, the distinct smell of books, La Fugitiva is a hidden gem you must try once. Where Is It? 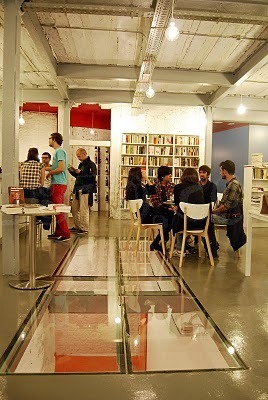 Nestled just off calle Fuencarral in Malasaña, this trendy bookshop café and wine bar is a local favourite. What’s It Like? With a spacious seating area, white-washed walls, a well-stocked bar and high ceilings, Tipos infames is light, airy and arty. The perfect place to go with friends for an afternoon catch-up or for a spot of reading or study. What Of The Grub? Wine, wine and wine is the order of the day here! What Else? 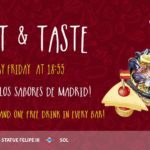 Tipos Infames has just launched a new chapter called “El Aperitivo es Sagrado” (the aperitif is sacred), which brings live music bar-side on Sundays before lunchtime and a complimentary glass of vermouth if you buy a book! 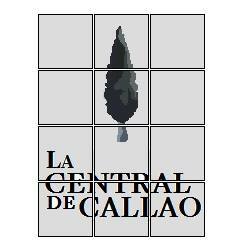 Wine tastings, creative writing workshops, book presentations and exhibitions also feature. Like what you’re reading? 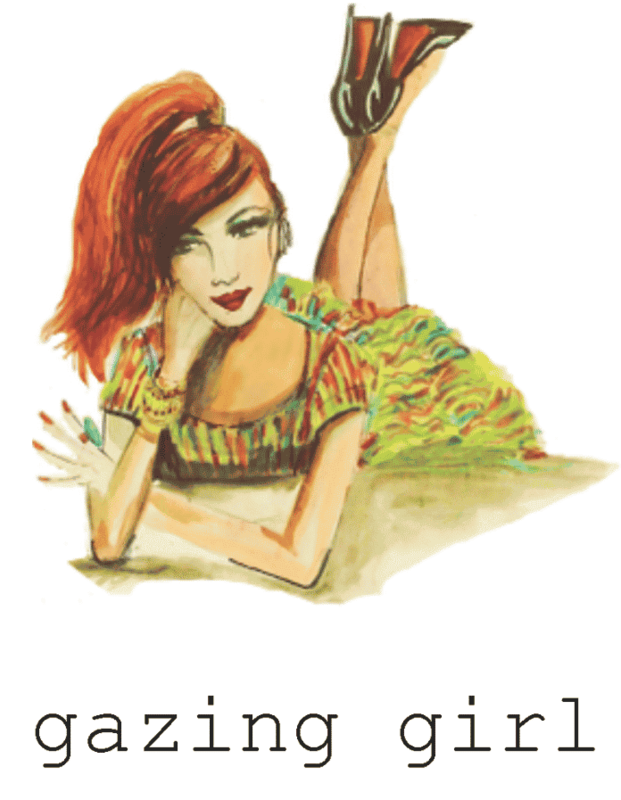 Check out Mel’s blog Gazing Girl for more great articles. Gazing Girl focuses on life, love, travel and self discovery! Check it out! 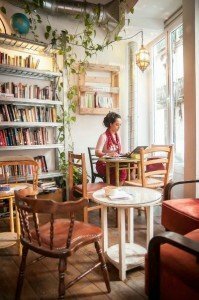 Great list of cafes you got here. I’ll definitely try La Infinitivo Cafe, since I’ve always been a frequent visitor of Lavapies ever since I came to Spain.